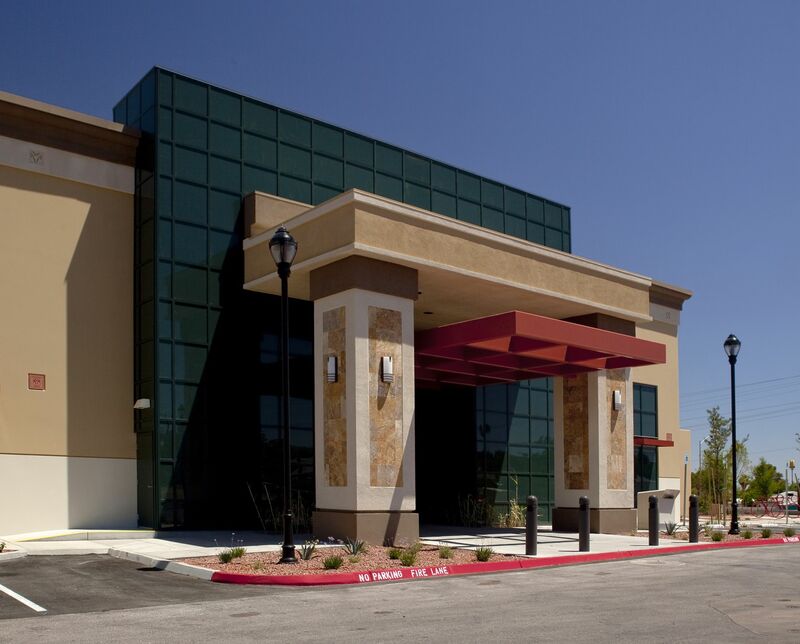 The Gibson Library is equipped with a convenient drive-thru, which is especially helpful for patrons with kids in Southern Nevada’s summer months. HENDERSON, Nev. – As Southern Nevada’s temperatures continue to hit the triple digits, a trip to the library can either be a pleasant all-day event or a stop on a long list of errands. The Gibson Library, located at 100 W. Lake Mead Parkway near Boulder Highway, offers a drive-thru window that allows patrons to beat the heat while still receiving materials from the library. Patrons can reserve movies, books and music online at www.mypubliclibrary.org and pick them up at the Gibson Library from 9:30 a.m. to 8 p.m. Monday through Saturday using the drive-thru. Established in 1943 as a single library in Downtown Henderson, Henderson Libraries operates six locations throughout Henderson. Henderson Libraries cooperates with other public libraries in Southern Nevada, the Nevada System of Higher Education, the Clark County School District and all other libraries around the state to provide quality service for Nevada’s residents. For additional information on Henderson Libraries and its many services and resources, visit www.mypubliclibrary.com or call 702-492-6581.